Beauty, astrology and magick come together in this cosmic collection! 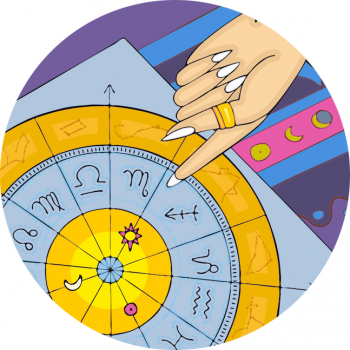 The zodiac nail wraps from Scratch come in custom packaging that includes a personal horoscope from the stars, a set of meaning driven nail wraps, and a matching sign midi ring. Katie Lehman is the artist behind this cosmic collection – the zodiac nail wraps at Scratch.